Which Region Am I In? I am a 49-year-old hydro-operator in N. Idaho, who is Dad to a 10-year-old boy and a husband to my wife of 25 years. God has truly blessed me with a wife who enjoys and supports my bow toting adventures and my son who has added a new dimension to how I approach my time afield. Growing up on the East coast I began carrying a bow in the field at the ripe old age of 11. Now, living in Idaho for the last 28 years I enjoy pursuing Elk, Deer, and Bear, Turkey, you name it, I just love to bowhunt. I have been fortunate enough to spend a good deal of time guiding big game hunts in Idaho’s Frank Church Wilderness as well as Brown Bear hunts in Alaska’s Illiamna river drainage. I have also visited Texas and S. Carolina in pursuit of Hogs, now there is a critter put on this earth to bowhunt! 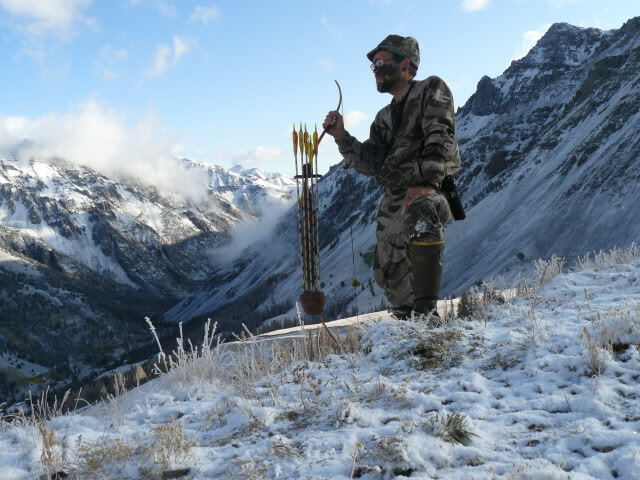 In summary, I am a passionate bowhunter who sees humor in just about everything, lover of my family, and grateful to God for the opportunity and the ability to enjoy it all.